STS Technical Services is hiring Aircraft Inspectors in Mesa, Arizona! 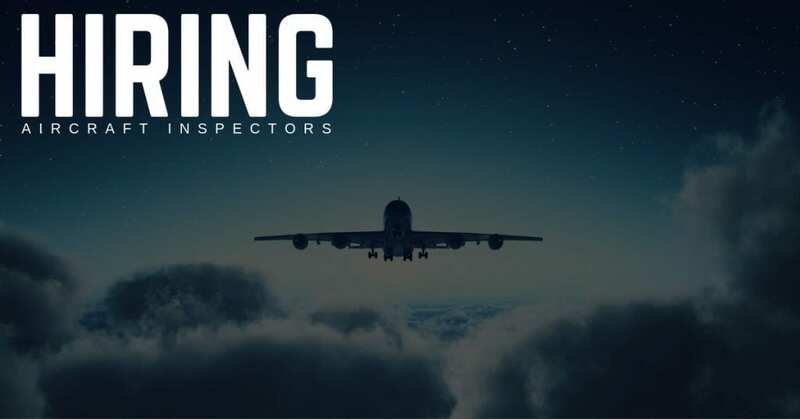 The Aircraft Inspector inspects and determines airworthiness of aircraft, aircraft systems, equipment, and parts in compliance with specifications and applicable government regulations. Performs pre-flight and post flight inspections ensuring that all inspection forms are accurately completed. Works from approved drawings, FAA Regulations or other specifications. Carries out aircraft inspections, verifying and controlling specific documentation according to the inspection process. Prepares reports on maintenance services and spare parts supplier performance such as: rejected/ non-compliance parts status, specified name, parts provided, quantities, discrepancies, technical performance, classifications, technical opinion, & recommendations. Monitors and verifies quality in accordance with control processes. Ensures that all inspections are properly performed on all completed work in accordance with internal procedures and FAA requirements. Files work orders and inspection forms in such a manner that the specific file pertaining to an assembly or unit can be located by the Chief Inspector promptly. Conducts preliminary, hidden damage, inspection continuity, and final inspection on items repaired. Performs review inspections on aircraft and components to monitor the quality of work performed and the adequacy of standards and equipment. Performs occasional/random work package audits to ensure that documentation is maintained in accordance with Federal Aviation Regulations. Performs “self-audits” of internal quality systems, and audits at the request of the customer. Assists the Chief Inspector in analyzing and interpreting quality data in order to develop methods, procedures, and systems to improve the Quality Assurance functions. Performs special assignments and projects, as directed by the Chief Inspector. Generally at least 5-7 years of experience as an aircraft A&P Mechanic. Prior Inspector work experience with aerospace quality systems that meet FAA requirements. Experience working with and interpreting, precision measurement instruments. Assignments require Comprehensive Knowledge of all possible tasks and responsibilities within their Technical Area. Skills are broadly applied in multiple Technical Areas. Knowledge of machines and tools, including their uses, repairs and maintenance. Skilled with repairing, troubleshooting, installing and equipment maintenance.